Well, unlike DIY code-free website builders (such as Wix, Squarespace or Weebly) that offer amateurs a limited selection of pre-designed templates, with Webydo not only can you create high-quality and professional websites starting from scratch, but you can also fully manage those websites and grow your design business. After all, Webydo’s revolutionary design software is made by designers for designers, and already has over 75,000 professional designer’s worldwide using it daily to create and manage their website projects. According to the size of your business and your needs you can choose among the “One-Site Plan” or the “Professional Plans.” There are 3 Professional Plans: Pro, Team, and Agency, which grew out of suggestions made by the vibrant Webydo community of designers. Who can use the “One-Site Plan”? The “One-Site Plan,” as the name suggests, is for people who are looking to design a single website. It costs $9 month and provides you fast hosting with 3GB of space. You can also connect your own domain. This option is the ideal solution for print designers who don’t design websites for clients but still need to design a professional website to present their portfolio and establish their web presence. 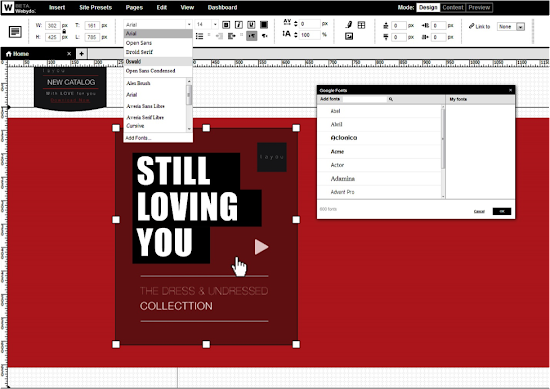 After all, with Webydo you can design a website visually, without worrying about code or technical details, so if you use InDesign or Illustrator, you will feel right at home with Webydo. What are the benefits of the “Pro Plan”? The “Pro Plan” costs $17/month and fits freelancers and web professionals starting out in the field who don’t have to manage many websites (yet). With the “Pro Plan” you can design and manage up to 10 websites. It includes unlimited storage, and you can have one domain name hosted for free. You can also have additional domains hosted for $5/domain. Another major edge this plan offers? Webydo’s exceptional CMS – which comes standard across all the Professional Plans. 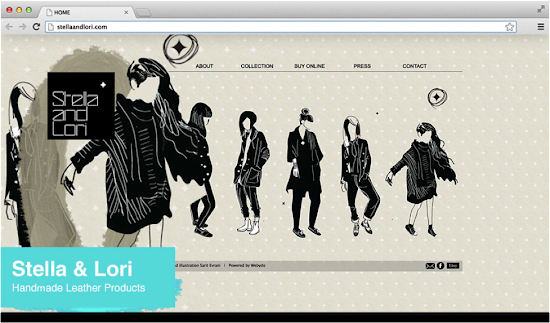 Webydo’s CMS makes it incredibly simple to interact with clients. Your client gets a WYSIWYG interface that’s as easy to work with as Microsoft Word, so he/she can easily change content and make updates at will. While you, the designer, can appoint any site element off-limits – so the client can’t possibly alter your brilliant work. Hurray for peace of mind! Other notable features of this plan include email and chat technical support, unlimited site exports, and up to 50 backups. It is also “Full White Label” and includes up to a 1-hour training session. While you are building your site, the temporary site is hosted on a Webydo sub-domain. What do you mean by “Full White Label”? 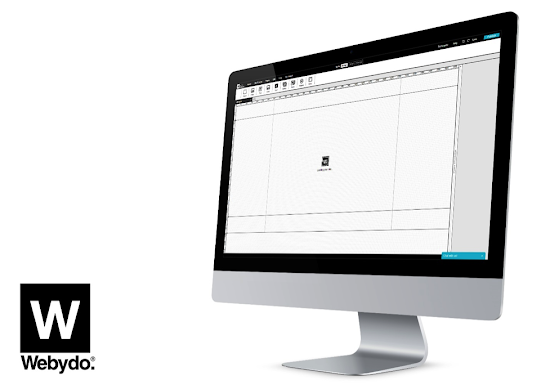 You can use your own logo throughout the studio and CMS; the Webydo logo appears nowhere. That way your own brand, not Webydo, gets all the glory. Building a powerful online web design business has never been easier! What are the extra benefits of the “Team Plan”? The “Team Plan” costs $35/month and is best suited for professional design teams. With it you can design and manage up to 50 websites. You also get all the features of the “Pro Plan,” including the proprietary CMS, but you can now have up to 250 Backups, unlimited training, and you can use your own branded domain when you are working on your site, even before it goes live. In addition, you can add custom code to the websites you design, have up to 3 users, and bill your clients directly from your Dashboard! What are the extra benefits of the “Agency Plan”? What is the “Dedicated Account Manager”? As an Agency Plan member you receive a dedicated Webydo Account Manager who is committed to serving your Agency’s needs at all times. What is the “Client DIY Wizard”? This clever “Wizard” helps you generate leads. You can send your clients a Webydo template with CMS or DMS capability, view the changes that they made to the template on their own, receive their contact information as a lead, and contact them to discuss potential upgrades. 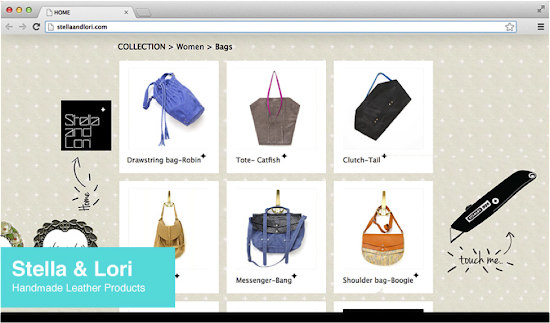 Webydo is truly on the designer’s side, helping them expand their business! Are there any other Pricing options? Yes. There is also a “Free Plan” to try out Webydo to your heart’s content till you are ready to upgrade your account and an “Enterprise Plan” for very big agencies. Students also have access to the “Academic Plan,” and they can get a discount if they sign up through their Institution. As you can see the more websites you design and manage, the more cost-efficient and convenient Webydo will be for you. And the more ambitious you are, the more Webydo lets you spread your wings! So go ahead and give it a try using the free account, till you are ready to upgrade to the plan of your choice and take your web design business to the next level! Great tool, I think it is very flexible to build a website, But major programming language ? Webydo is providing amazing service no need to know much about media queries or bootstrap.